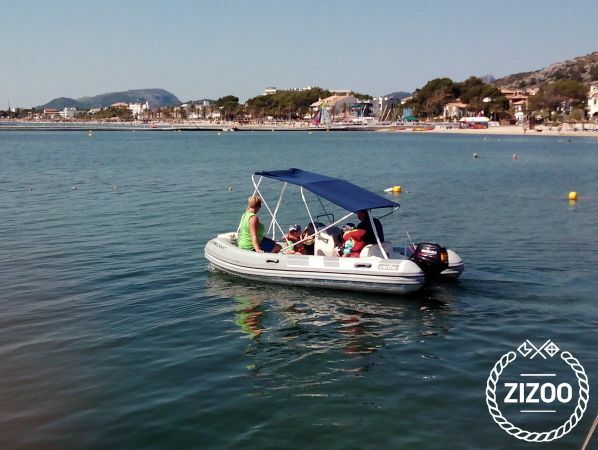 The Caribe CL 13 is one of our most popular boats that can be rented without a licence. Get to know all the insider spots in the Bay of Puerto Pollensa and get ready for a fun-filled day on the water. This boat is easy to handle and before you set off, we'll make sure to show you everything you will need to know. The boat is extremely safe and we are sure everyone will have a memorable day at sea!